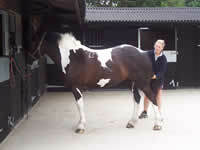 Most livery yards in Essex will offer a full range of equestrian facilities based on the price you pay. Some livery yards in Essex will have individual stables and some the very popular American barn type stables. Standard options should include DIY, Full or Part livery with some yards offering specialist livery services such as hunting or working livery. Livery focused stable yards will normally be set up to include the use of show jumps and cross country jumps, with facilities such as rug wash, horse wash, solariums and riding lessons available at an extra cost. 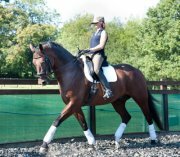 Small friendly dressage livery and training yard offering full livery service for both the serious competitor and the hobby rider. On site BHSII & BD accredited trainer, horsewalker, rubber matted stables, 20×40 floodlit arena with new non-freeze FlexiRide surface, alarmed tack room, yard owner & manager both live on site, late yard checks. Close relationship with local equine vet. Yard situated on quiet lane leading to good hacking. 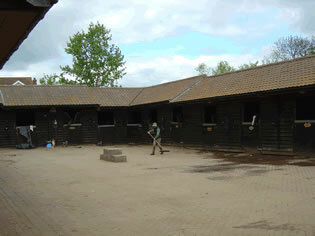 A small privately owned livery yard with superb new facilities. 20×60 all weather arena, full set of show jumps, 800m canter track, 40 acres of off road hacking. The stables are contained within a well air circulated American barn, we have a heated secure tackroom with full washing facilities. Management lives on site so help is at hand 24 hours. Our resident trainer is Poppy Pissarro former dressage rider to the Eilberg family and Andrew Gould. We also offer jump training. Full livery packages tailored to your needs, all levels of rider are welcome. Our aim is to ensure that you enjoy all the best aspects of owning a horse. Full / Part and DIY Livery – Indoor School – Show Jumping Paddock – Cross Country Fences – Post & Rail Fencing – Club House & Lecture Room. Full / Part and DIY Livery – BHS approved – Easy entry to EAFR scheme – Hacking on quiet country lanes. Small Private Yard – Full And Part Livery – 25 x 50m Flood Lit Arena – All-Year Round Turn Out – 450 Acres of Off Road Hacking – Large Brick Stables. Full / Part and DIY Livery – Off Road Riding – All Year Turnout – Brand New American Barn – Stabling – Manege – Individual Tack/Feed Rooms – Friendly and Experienced Staff. Large Rubber Floor Boxes – Individual Turnout – Floodlit Manage – 1st Class Care & Attention – Fully Alarmed Premises – Excellent Hacking – Exercising/Schooling Available – Friendly & Experienced Staff – Set of Show jumps / Jumping Paddock (in summer). Hazeleigh Barn Livery is a small yard with a great atmosphere. Offering DIY, Part and Full livery services. Located in the small village of Hazeleigh which is just outside Purleigh, about 1 mile from both Danbury and Maldon and 20 minutes from Chelmsford. 20x40m Sand school. All year turnout. Great local hacking with all weather surfaced bridleways. Children and dog friendly. Please call Vicki for more details. If you offer stabling or livery services in Essex and you’re not in the above list, be sure to contact us and Submit Your Details to our Essex Livery Yards Section.